Telenor Group today said that it will bid in an upcoming auction of 2G spectrum and it has submitted its application for pre-qualification in the 1800 MHz band spectrum auction to the Indian Department of Telecommunications (DoT) on 19 October. However company said that a final decision on whether or not to participate will be made before the auction starts. 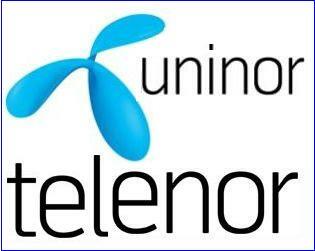 Currently Telenor is opearting GSM services in India brand name Uninor which is the joint venture of Unitech and Norway telecom major Telenor whose mobile service licenses has been canceled by the Supreme Court under 2G verdict. Few days back Unitech already said that it will exit from telecom joint venture Uninor by disposing of its entire shareholding and both the parties have amicably settled all legal disputes between them. Telenor Group also continues its efforts to secure a new Indian partner and to obtain all necessary approvals to transfer Uninor assets into the new company. 19 October is the deadline for companies/mobile operatoprs to submit their application to participate in the auction, which is scheduled to start on Nov. 12. ……and the uninors new name is telewing.